Thanks for stopping by and reading this message.. Welcome to the forum and welcome to KW. 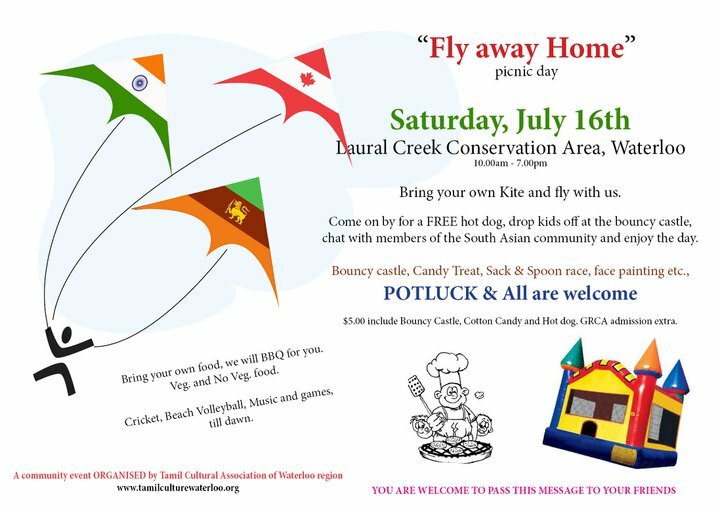 You are welcome to attend the picnic arranged by Tamil Cultural Association of Waterloo Region this Sat, July 16 at Laurel Creek, Waterloo. We are from chennai ... moved to kw area ... trying to make new friends. We are a couple .we have moved from the chicago area..
You are welcome. Where will you two be working. I guess, RIM (Blackberry) is not hiring and hence you will be employed in other tech. companies / university. I used to like in the KW area for 2 years and hence please free to ask any questions, should there be any. Thank you... Mr. Krishna for the kind reply. It is very hard to get a part time job in Kitchener as it is already over populated for jobs. I hope you are going t ostudy at connestoga college. It is a good one. There are better oppertunities for students to get jobs and this will be told to you by your seniors after you join. There are some jobs within the connestogo college itself , which pays well. Guelph (some 20 kms ) away can offer jobs in the car spare parts manufacturing area.